Perfectionism has been described as a great deception. For the believer it promises success and happiness, but despite how hard one works for it, it delivers only disappointment and so many forms of hardship. This is because perfection does not exist. Yet perfectionism is often regarded as a virtue which helps to perpetuate this deception and keeps those suffering from perfectionism stuck. The reality for the Perfectionist, however, is that at the heart of perfectionism is fear, the fear of failure, the fear of making a mistake, the fear of being judged. For a Perfectionist, these are paralyzing fears which play out as a continuous message that says “I m not good enough”, severely inhibiting a Perfectionist to take the risks that are necessary for growth and success, while negatively impacting their personal well being. those whose standards are high beyond reach or reason, people who strain compulsively and unremittingly toward impossible goals and who measure their own worth entirely in terms of productivity and accomplishment. Rejection of Reality: Perfectionists do not accept the reality that perfection is unachievable and strive for perfection in everything they do. Fear of Failure: Perfectionists have an extreme fear of failure and view “almost perfect” as a failure. As a result, they avoid taking risks and do not recognize the importance of learning and growing from one’s mistakes. Unrealistic Standards: Perfectionists often set unachievable goals and are not easily able to recover when high expectations are unmet. Procrastination: The Perfectionist’s overwhelming fear of failure and pressure to be perfect can result in being unable to take action. Creating a disempowering cycle of fear of failure and inaction. Focus on Results: Perfectionists are always focused on their next achievement and attaining the goal is all that matters. They believe that it will be the achievement of the next goal which will make them happy. Inability to Celebrate Success: Perfectionists do not recognize any accomplishments towards achieving their goal and if they do achieve their goal, dismiss it as unimportant. Defensiveness: In their efforts to look good to others, Perfectionists tend to deflect criticism and take constructive criticism personally. All or Nothing Thinking: In perceiving the world there is no middle ground for the Perfectionist. Things are either one of two extremes for example, right or wrong, good or bad, success or failure. As a result, every challenge on their journey to achieving a goal is experienced as a failure regardless of how insignificant it is. Low Self-Esteem: Perfectionists tend to be critical of themselves, they hone in on imperfections and suffer from low self-esteem. They can also be highly critical of others and their rigid and controlling nature can impact relationships with others. Despite the heavy toll striving for perfection can have on a Perfectionist, there is a payoff in the form of perceived protection – protection from failure, criticism, making mistakes. Perfectionists believe that they are successful because they are a Perfectionist. The reality is that Perfectionists who enjoy success do so despite their obsessive striving for perfection, not because of it and often suffer from lifelong unhappiness and dissatisfaction in the process. Research supports this by indicating that in situations of individuals being equal on a number of factors e.g. having similar levels of talent and skill, Perfectionists perform less successfully than non-perfectionists. adopt a debilitating belief system: I am what I accomplish and how will I accomplish it. Healthy striving is self –focused. How can I improve? Perfectionism is other focused – what will they think? power over your perceptions of the world, power over how you react to situations in your life, power to do what is necessary for your own self-growth, power to create joy and satisfaction in your life, power to act, and power to love. The good news is no one is 100% a Perfectionist and the ability to live an empowered and authentic life is possible. It means, however, coming to terms with underlying disempowering beliefs and replacing them with empowering beliefs and behaviors. For a Perfectionist this means a fundamental perspective shift from wanting to be perfect and live a perfect life to accepting they are good enough and living a life that is good enough. A life that is “good enough” is essentially living in a way that is the best you can do and be given the various demands and constraints of your life. This is not the same as doing the bare minimum. Rather this approach results in peak performance. It requires the ability to identify the best way to approach each life priority within the context of understanding that it is impossible to be perfect and the ability to be creative and realistic in how to manage expectations and one’s time. Striving to live the good enough life results in the striving for excellence in healthy ways. It means setting achievable high standards, keeping anxiety and fear of failure in check, taking genuine pleasure in the process of achievement and seeing making mistakes as an opportunity for growth. to accept the impossibility of perfectionism, to recognize the value of being good enough, to recognize our imperfections as gifts and to believe we are good enough just as we are. It is when these critical beliefs take hold and begin to manifest in day-to-day behaviours that one will be able to live an authentic, empowered and successful life. Being authentic, being who we really are makes us better coaches. To be in service to others we need to be stable in ourselves. We must be self-aware, recognizing our own perfectionist tendencies and how they may present themselves in the coaching process. For example, in our desire to strive for a perfect session, we may inadvertently behave in direct contradiction to what is needed to create a safe and supportive environment for the client. If we are so focused on our own agenda of getting it “right”, we will not be fully present with the client as we will be paying attention to our own agenda – what we think should happen in the session. This can lead to a directive approach leaving the client disempowered and not feeling heard, as we are not truly listening if distracted by our own thoughts about what the session should look like. In the end we may achieve some predefined definition of what we wanted the session to look like, but we ultimately were not successful in creating a space in which the client is in control of and takes ownership for the process. As a coach, consider adopting a process orientation – focus on the coaching process and what you can control in the process vs. outcomes as a basis for evaluating success. Strive for good, consistent effort with all clients. With this mindset you will be successful. Give yourself permission to make mistakes and view these mistakes as valuable gifts for learning which will allow you to become the coach and create the coaching experience you truly want for your client. Challenge yourself to release control of knowing what will happen in the coaching experience. During a coaching session, trust in your client and the coaching process that things will go at the pace and where needed. Letting go can be scary, but the only way to overcome the fear of letting go of control, is by doing exactly that. Feel the fear and do it anyway, leveraging each session as an opportunity to practice releasing control. Being able to release control is critical as this is the only way you will be fully present in the session. Being present is the only way to ensure that you will be ready to provide your client with the appropriate support in any given moment. This includes the skill of powerful questioning which is so critical for sustained change. According to Anthony Robbins, the quality of our own life is determined by the quality of the questions we ask ourselves. Personal development and growth starts by asking the right questions, not by having the right answers. What questions are most important to ask yourself at this time? 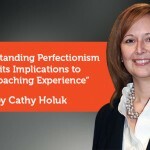 How does perfectionism manifest for you, in different situations, including as a coach supporting the coaching experience? What does being good enough look like for you? How would your belief that you are good enough impact you as a coach and the coaching experience? How would a good enough approach impact how you define the success of a coaching session? As with any client, it will be important to gauge a Perfectionist’s readiness to deal with their perfectionism directly in order to determine whether it would be more appropriate to use a more indirect approach and line of questioning. Calling out the perfectionism directly may for example, trigger failure anxiety and inaction in the client – if they view their perfectionism itself as a failure. 3 reframe failure and imperfection as a gift. Perfection is a myth, an impossible goal. Support the client in their awareness process to reality check the messages they are telling themselves about perfection and being good enough. Help them to identify the payoffs they are getting from their perfectionist behaviours and to identify what specifically they want to get rid of and what they want to keep. Often people have a hard time changing unwanted behavior because unconsciously they have attributed value to a behavior that the individual does not want to lose. It has been said that it is only when someone truly accepts themselves as they are that they are then ready and able to change. Help your client to practice authenticity daily. This means helping them to let go of who they think they are suppose to be and accepting who they are. Being authentic is a choice to be honest about who we are and to allow others to see us as we really are. The irony of this is that what others think of us is not about us at all, but a projection about how they feel about themselves. The good news is it is our choice whether to accept or reject what others think about us and the life we want to live. Support your client in understanding that it is in their power to make decisions that support who they are and their well being. Reframe failure and imperfection as a gift. We create our reality by how we think about a situation. This means that it is within the client’s power to choose what they think about perfectionism. 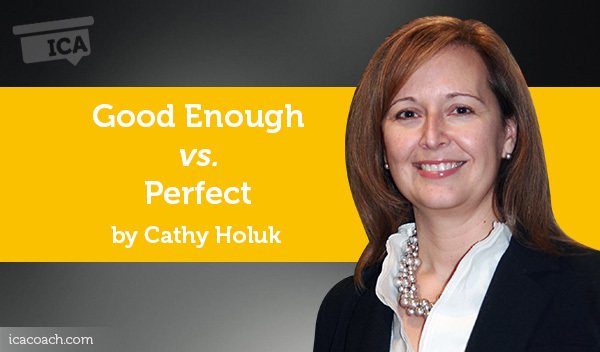 Help you client understand that it is a choice to view perfectionism as the only way to achieve success or to embrace imperfection as a gift, to accept that they are good enough and to live a life that is good enough. A Perfectionist’s fear of failure can be paralyzing. Help your client to understand that the true fear is not in failing, but in not failing. It is only in the process of making mistakes and learning from them that we grow as individuals. Encourage them to think of something that they would like to do but have not done because of their fear of failing and to do it. Challenge them to view their imperfections not as failures but gifts of their authentic self. Help your client develop gratitude for what is good in the world in the present moment, including their imperfections. Encourage the client to set up ways to practice gratitude on a daily basis, e.g. keep a gratitude journal, commit to giving compliments daily, not to complain, and/or to volunteer for a worthy cause. Through gratitude the client may find joy, by cultivating self-acceptance and a new definition of success – living a life that is good enough. 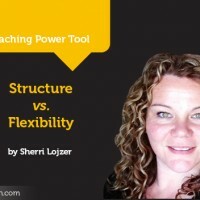 Here are some questions which may be useful in supporting a client’s shift in perspective. (Note – some questions assume a client’s readiness to deal with their perfectionism directly). What does being perfect mean to you? In what ways does perfectionism impact your life? What benefit(s) do you get from your perfectionism? What elements of perfectionism do you want to keep? Which elements of perfectionism do you want to let go of? What would it mean to adjust expectations of yourself? What would happen if you did? What if you believed you were good enough? What gets in the way of being good enough? What if you didn’t care what others thought of you? What about your imperfections are you most grateful for? 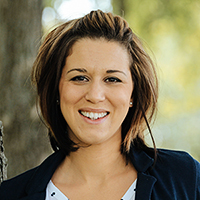 What can you do to support your client if they do not acknowledge their perfectionism? What ways can you think of to support a client in shifting their belief in perfectionism to believing they are good enough and living a life that is good enough? How can you prepare yourself as a coach to support a Perfectionist client and to ensure you don’t bring your own Perfectionist tendencies to the coaching experience? We each have the power to interpret our own reality and address beliefs that do not serve us in our effort to live an authentic life. The coaching process can be a powerful way to support an individual’s efforts to accept that they are good enough and to live a joyful good enough life. Baksa, Peter. It’s None of My Business What You Think of Me! Chicago: Intelegance Publishing, 2011. Ben-Shahar, Tal. The Pursuit of Perfect. New York: McGraw Hill, 2009. Brown, Brene. The Gifts of Imperfection. Minnesota: Hazelden Publishing, 2010. Burns, David D.. Feeling Good The New Mood Therapy. New York: William Morrow and Company, Inc., 1980. Gilbert, Elizabeth. Big Magic – Creative Living Beyond Fear. New York: Riverhead Books, 2015. Jeffers, Susan. Feel the Fear and Do It Anyway. New York: Ballantine Books, 2007. Livingston, Glenn. “How to Coach a Perfectionist”. 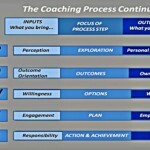 http://coachcertificationalliance.com/TheBlog/how-to-coach-a-perfectionist/ .